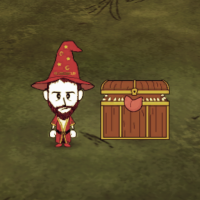 The hapless wizzard Rincewind and The Luggage from Terry Pratchett's Discworld series (The Colour of Magic and The Light Fantastic). Rincewind is a runner not a fighter. Luckily The Luggage is violent enough for both. The storyline of Rincewind ending up in Don't Starve continues from the Science of the Discworld books I, II and III. The Luggage and the all important hat that says Wizzard on it (that's how you know he's a wizard see?). This mod makes some things quite easy... but other things quite difficult. It is possible for Luggage and Chester to coexist... somehow. So, after a death and subsequent resurrection at a touchstone, the Luggage is energized and completely disassociated. I can access him by approaching, but he doesn't follow or protect me. If it is relevant, the death was via monsters in the dark when I got caught out at night without the makings of a torch or fire. Rookie mistake, I know. Is the Luggage's behavior a result of the death or a bug? is there any fix to the Luggage picking up the bees yet? I"m running XP if that helps. And I don't know why I died shortly after, but the wizard hat disapeared. No way to live through constant nightmares that I know of lol! As far as we can tell, this is a result of the various character instances in the game. Saving and re-loading the game should fix this (at least it has for us). The bug with Luggage and bees doesn't seem to be directly related to the mod. As was mentioned above, the problem seems to be with the METRICS_ENABLED flag. We have no idea why that would cause such a crash. Try deleting the line from the modded bee.lua file as a workaround for the moment. Re. the wizard hat, check that it isn't back in your inventory (it isn't automatically equipped). If not, does it appear again after saving and re-loading? It may be a similar problem to that of Luggage becoming disassociated. Keep crashing everytime I try to start a game with Rincewind, tried deleting the mod file as asked on Steam. scripts/mods.lua(173,1) Mod: rnw (Rincewind) Mod had no modworldgenmain.lua. Skipping. ../mods/rnw/images/saveslot_portraits/rnw.tex is 120x104 but compressed textures must have power of 2 dimensions. ../mods/rnw/images/selectscreen_portraits/rnw.tex is 188x284 but compressed textures must have power of 2 dimensions. ../mods/rnw/images/selectscreen_portraits/rnw_silho.tex is 188x284 but compressed textures must have power of 2 dimensions. ../mods/rnw/bigportraits/rnw.tex is 560x720 but compressed textures must have power of 2 dimensions. Enum complete. Found 7 mods. 245850, 219740, [Link, The Hero], [Link, of The Legend of Zelda fame. Link is a seasoned adventurer, and well equipped for whatever may come his way in the wilderness. His experience has jaded him to the point of sanity being a non-issue. He'll fight a king of nightmare-beasts before breakfast, and not even blink at it. He is used to living off what's available, and has developed a strong stomach. Compared to the average character, Link is faster, stronger, and tougher. However, he has a smaller stomach, and faster hunger rate - running around, and fighting like that burns off the calories much faster! Link is perhaps best played as a hunter - hunt, kill, and eat monsters to stay alive. Or, failing monsters… adorable, harmless little bunnies. You monster. Link brings a number of Hero's Items with him on his adventure. All Hero's Items are unbreakable, and uncraftable. So don't lose them! WOULD YOU PREFER THE 'HERO' ITEMS TO HAVE THE NAMES USED IN OCARINA OF TIME? Simply download and apply this little tweak! *Can you make Link not start with all his items, and have to find them on the map? This is something I've been planning since very early in the mod's development. It will be a very difficult thing to implement, and likely the last thing to be attempted, but I plan to split the mod into two versions - this one, "Link, the Hero," who starts with all the equipment, and "Link, the Adventurer." who starts with nothing at all, and must find the Hero's equipment in a series of dungeons, scattered across the world. The easily-crafted Wooden Sword and Shield will be quick and easy defensive equipment, with this version. This is the primary reason for their low costs. They're sort of "emergency" items for "Link, the Hero," but essential tools for the Adventurer. The Bow is not yet implemented, for technical reasons. It will be added later, when the tools are available. Arrows have been added in anticipation of this future addition - they burn, so you can throw them on the fire, if you need to do something with them. *What are the Rupees for? They will be used as currency with the Shopkeeper - this is a feature that has not yet been implemented, and thus, the Rupees do not have any function, at this time. *Where did my fairy go? *Are you still working on this? 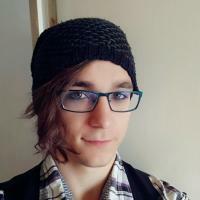 I know there hasn't been a proper update for a while, and for that I'm sorry. But I am unable to work on it at the moment for health reasons. Once my heart condition is under control, I will be back to work. Big thanks to C J B for the Magic Meter, Squeek for the bomb overhaul, and Simplex for the talking fairy. Q: Is it possible to make the minimap more zoomed in? A: Unfortunately, no. The maximum zoom level is hardcoded. Q: Is this mod compatible with X mod? 245850, 219740, [Wilson's House With Light], [sometimes Wilson doesn't sleep much, and if warm out works at night cooking, crafting and so on. The hut now has a two way fireplace good for cooking and light. The torch has been removed.The Mud Hut is craftable under the Structures Tab 10 twigs 10 cutgrass and 5 forest turf. **NEW** A workaroud now lets you save your temperature, naughtiness and temperature unit (c° or f°) display PER SAVEGAME. So you'll have to do it every time you start a new game BUT NOT WHEN LOADING EXISTING SAVES. It took me some time to find this solution but at least now, you are able to easily personalize your display at your liking. Unfortunately custom characters don't save the display position between sessions. Read further down for details. On/Off shortcuts. The "N" key for the naughtiness and the "P" key for temperature. Unfortunately when you sync your mods to the workshop, the changes are reset. That's why I labeled this method semi-permanent. Temperature and naughtiness are hidden automatically when inside the caves since your temperature is always at 20°c and none of the creatures increase your naughtiness. These mechanics exist in the game and weren't created by me. This mod just monitors them. For a fresh game, the naughtiness cap for spawning Krampus is 30. Once reached, it's reset to zero and the new cap is automatically set to a random number between 30 and 50. And Krampus spawns of course. There's a chance to spawn 2 Krampii after day 50 and 3 Krampii after day 100. Your max temperature is 40°C (104°F). If it goes under 5°C (41°F) you'll start shivering and under 0°C (32°F) losing health. At -15°C (-5°F) you die. So careful ! The U key will switch between celcius and fahrenheit. 245850, 219740, [DisplayFoodValues], [This mod displays what food and healing items have what hunger, health, sanity values (including rotting). It will work for items in inventory, backpack or in containers. You can use ALT button (force inspect) or button 'Y' if you use controller to see how many days there are left until food spoils. To install the mod you need to subcribe to it, run the game and go to Mods menu. Find mod DisplayFoodValues and enable it. There is a german, french, spanish and russian translation in mod folder. v1.1 - Balanced some stats, loses sanity easier and you can now freeze. v1.2 - Machete redrawn and can be used as an axe as well as a weapon. -Has his iconic machete, it can also fell trees. -Low sanity but isn't fazed easily. 245850, 219740, [Rincewind], [The hapless wizzard Rincewind and The Luggage from Terry Pratchett's Discworld series (The Colour of Magic and The Light Fantastic). 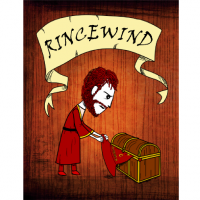 Rincewind is a runner not a fighter. Luckily The Luggage is violent enough for both. Hello guys, everytime I attempt to load this mod the game crashes upon choosing Rincewind at character selection. I believe I saw others with this problem but I didn't see a solution. Oh, this is brilliant! Any chance of getting him in DST please? Thanks in advance.